Do you have a musty smell in your home? Are part of your walls wet? 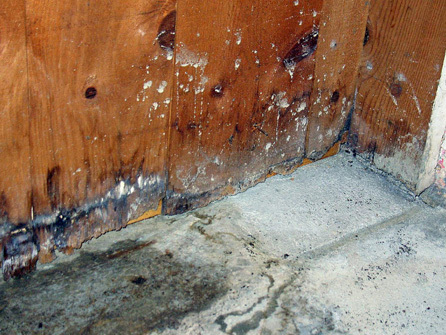 If the answer is yes to either of the above questions, you could have damp forming in your home. Visible black mould, icy cold rooms and plasterboard with paint that is flaking off are also signs of damp and needs to be dealt with. At JBL Roofing & Guttering Services, we can quickly assess what needs to be done to make your home damp proofed. We have over 50 years of combined experience in the industry and have the knowledge and the know how to get the damp put at bay. Our team will check for leaks in your roof or your guttering system which is where most leaks start from. 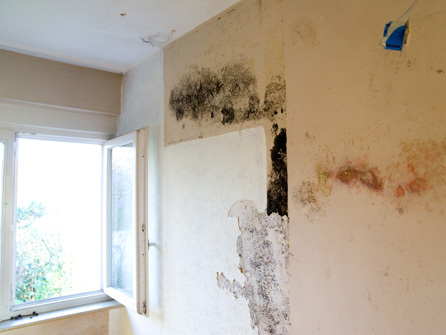 We will carry out a survey and let you know of the findings and what needs to be done to erase the damp problem. Without immediate action, you and your family could become ill so it is imperative you get the problem addressed straight away by the professionals. Once the damp has been discarded, we will renovate the interior of your home and then apply a liquid damp proofing solution to protect your walls for the future. It is available in black or white and has a consistency similar to that of thick emulsion paint. Two coats are applied which once dry forms a membrane that is flexible, elastic and waterproof. After about an hour the walls are touch dry and this liquid damp proofing layer will prevent further damp issues to your property. We carry out all of the work ourselves from initial telephone enquiry through to the completion of the job, without having to rely on outside labour. Once completed, our team will leave your premises clean and tidy and will discard of any unused materials so you don’t have to. All damp proofing work is fully guaranteed and we do not require a deposit of any kind before we get started on your property. So, give JBL Roofing & Guttering Services a call today to discuss your damp proofing, we look forward to helping you with all of your roofing needs.